Our real estate agency offers you the possibility to choose between different types of properties for sale in Rojales. If you are interested in living in a home with large dimensions and at the same time, you can enjoy peacefully your rest without worry, our properties for sale in Rojales are prepared for it. 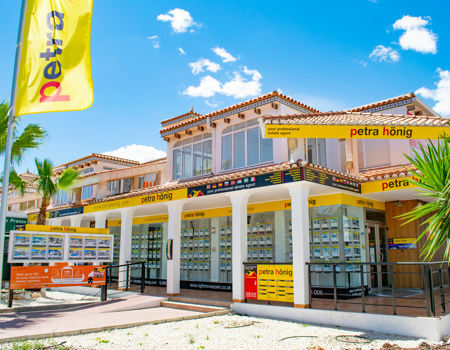 From our real estate sales company, we want the main objective of the client who puts their trust in us is to make the most of all the advantages of our properties for sale in Rojales. But at the same time, our real estate agents work professionally to locate the property in the best possible location in the area. For this same reason, from Petra Honig we want the owner to feel proud of his purchase, but do not forget to enjoy the wonders he has, in this case, Rojales. Rojales is a small town located south of the province of Alicante, belonging to the region of Vega Baja. It is a locality that has an incredible climate during all the respective seasons of the year. The average annual temperature is 19º, so its winters are mild and its summers are hot. Rojales is made up of about 20,000 inhabitants, where most of them are residents looking for good weather and good beaches. Rojales is very close to the main beaches of the south of the Costa Blanca. So you can enjoy an amazing day in family or in good company. Despite being considered a small town, Rojales has everything that a bigger city has. Fun leisure areas, perfect places for sports, beautiful views, clean parks, etc. 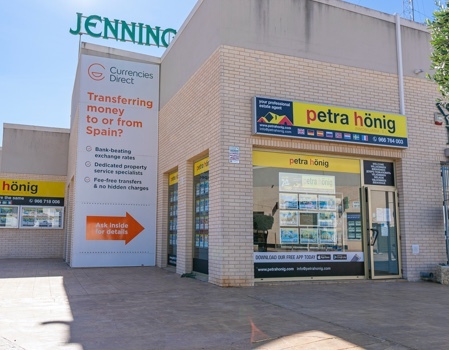 If you are interested in knowing more surprises of the city and your future home, come and meet us and try one of our properties for sale in Rojales. You can locate us in three different offices so you can access to visit us in a simpler way. You can find us in Ciudad Quesada, El Raso and Villamartin. Our addresses are: Avda. De las Naciones, 18 A Urb. Ciudad Quesada, Euro-Terra Shopping Center Plaza de la Figuera 1- Local 7 and Avda. De las Brisas 6, Local 26, respectively. The contact telephone numbers to ask any questions are the following: +34) 966 718 006 | (0044) 73 84 395 902 (Ciudad Quesada), (+34) 966 716 019 (El Raso) and (+34) 966 764 003 (Villamartin). 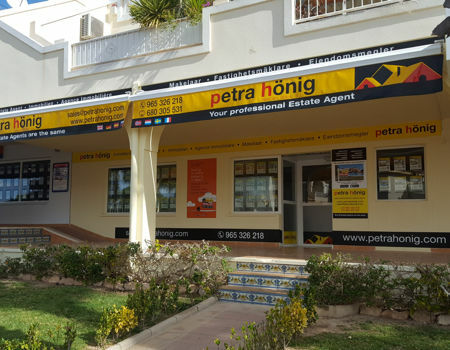 If you also want to send us more questions by email, send us an email to info@petrahonig.com.